You are here: Home » burlap » Burlap Wreaths – 12 ideas for every season! Burlap Wreaths – 12 ideas for every season! Burlap wreaths are perfect for every season of the year. I have quite a few tutorials on this site but I thought it would be fun to round up 12 burlap wreath ideas. Yep you get one for every month of the year. So if you love making wreaths, this post is definitely for you. Break out the burlap and get started! These burlap wreaths will look amazing on your front door! The wreaths are in order of months in the image below and I link to each one below. If you click the link of the wreath below, you will be taken to a step by step tutorial on how to create your own version. Enjoy! Fabulous ideas right? If you love all things burlap, you can click here to follow along with our burlap Pinterest board. We are pinning great burlap ideas regularly so you won’t miss any of the fabulous burlap craft ideas. And yes there are burlap wreaths on that board as well! 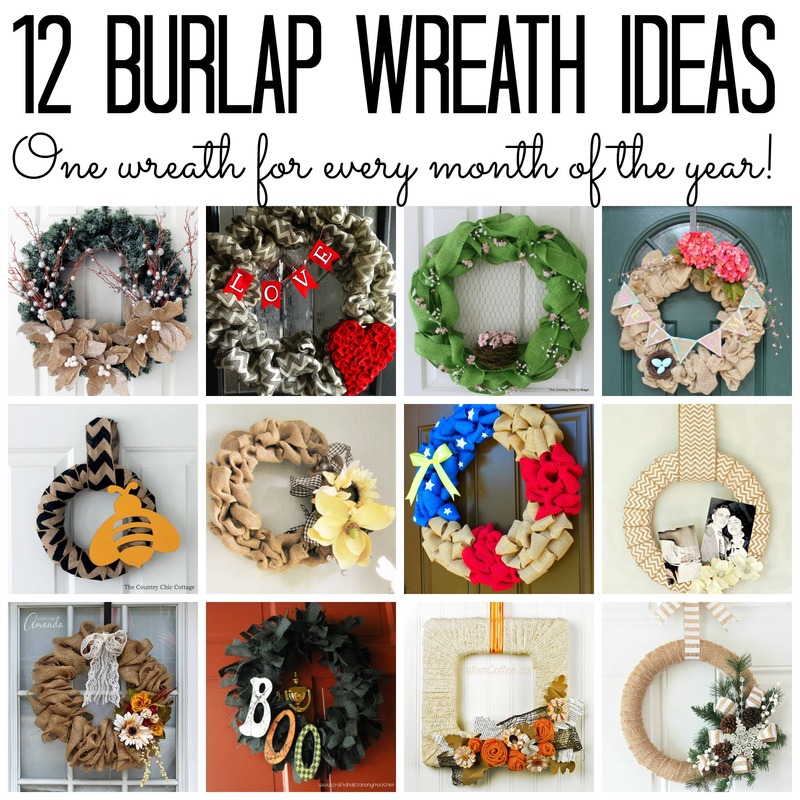 No time to create your own burlap wreaths? We have you covered there as well! Did you know that can buy great burlap wreaths on Amazon? You can click around on the images below to make your purchases. Just so you know, the links below are affiliate links which means a portion of your purchase will go to support this site. Enjoy! 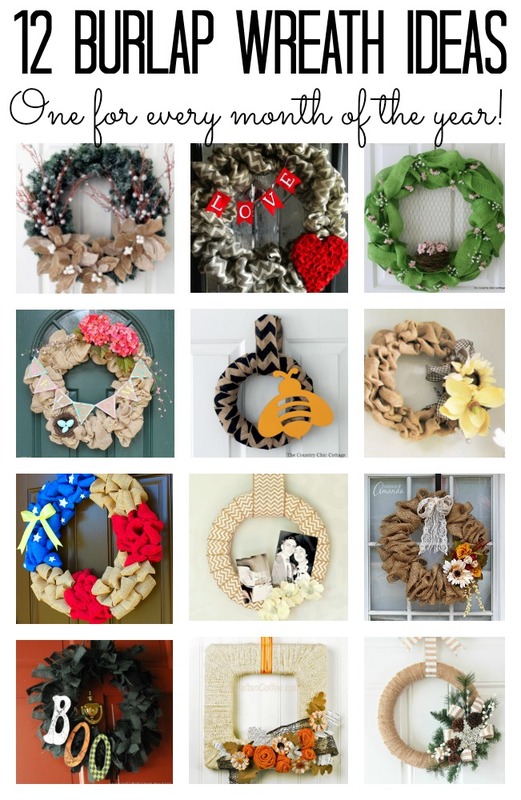 Which of these burlap wreaths will you make this year? Which is your favorite? Wow, this is a burlap bonanza! They’re all beautiful! Thank you for including CraftsnCoffee.com, Angie.